Paying attention to the elements is always a good thing. The late, great Maurice White did it decades ago while reconfiguring his then-struggling soul band, consulting his own astrological chart and renaming Salty Peppers for what showed up the most -- Earth, Wind & Fire. 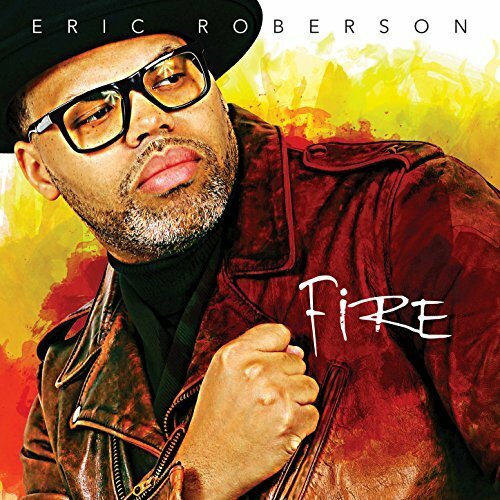 Eric Roberson may or may not have used the Zodiac, but he did create a tantalizing trio of EPs with same properties: Earth was rooted in the power of self, Wind carried the influence of emotions and now he's wrapped it up with Fire, a worthy collection of songs energized, and eloquent about, the political realities of living and loving in a polarized world. One doesn't become the "King of Indie R&B" without bringing some polish and consistency to the game, and Erro's Fire delivers, recalling everything from our beloved ancestors, yesterday's leaders, "breathing while Black" and even the present-day president, whose voice is heard along with Roberson's and Dayne Jordan's in the provocative opening track, "Slave Owners": "You say 'make America great again, do you mean like in the days of Washington/a president with 300 slaves, land of the free, home of the brave." The emphatic response Eric gives to a pointed Trump question toward the end is practically a reason to download Fire in and of itself. According to this third chapter in the 2017 Book of Eric, one can only gain the courage to fight the power if they make peace with their insecurities, build awareness and reach out to others trudging along the same paths. "Show That" reminds listeners of the fragility of life and how "in this day and time, there ain't no need to hold back" if you haven't been sharing with those you love. The civil and personal freedoms that many take for granted are highlighted in a somber ode called "Tamir," a song lamenting how a toy gun that he was playing with attracted the bullets of an officer's gun and cruelly ended his life. Roberson also shares the personal frustrations of being African-American in "Everything," a litany of ways he can lose his job-----or worse-----by doing the wrong thing at the wrong time; "I need these funds for my three sons, the refrigerator empty man, drama I can't have none/So I look up to God and ask to be the victor, that's when I heard this man call me a ..."
Trying harder, doing better (the low-key funk anthem, "Keep On"), reaching out to the next man/woman when you come up ("Leave the Door Open"), and letting love rule no matter what it looks like ("If two girls fall in love, who am I to judge?/ Long as they're happy...," - "Love is All That Matters"). Roberson's Fire is the kind that warms you up and adds pep to your step as you relate and re-energize. The 'MAGA' madness may not end anytime soon, but fall is here and Erro's Fire represents one aspect of climate change from which we can all benefit. Highly Recommended.